(l-r):Mr. Hugh Riley, Secretary General & CEO of the CTO and Mrs. Jacqueline Johnson, Chairperson, CTO Foundation, Inc. receiving a US$20,000 donation from Mr. Karl Magnuson, director of operations, Marriott’s Frenchman’s Cove; and Mr. Panna Utpaul, general manager of Marriott’s Frenchman’s Cove, on behalf of Interval International and its resort clients. 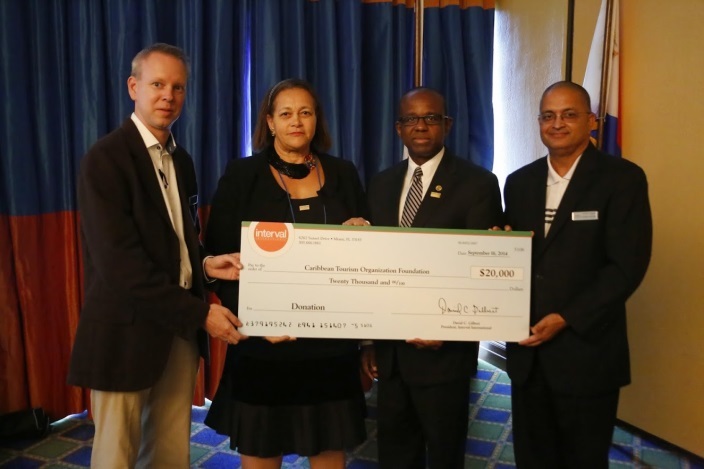 The CTO Foundation generates funds by developing partnerships with major players in Caribbean tourism as well as by its own fund-raising efforts. In the past, some of these partnerships have involved American Airlines, American Express and the CTO Chapters, and in more recent times there has been strong and ongoing support from Interval International, the Royal Caribbean Cruise Line, LIAT and continued support from the CTO chapters globally, along with a few generous one time donors. The regular fund-raising activities include silent auctions, raffles, cocktail functions, etc. 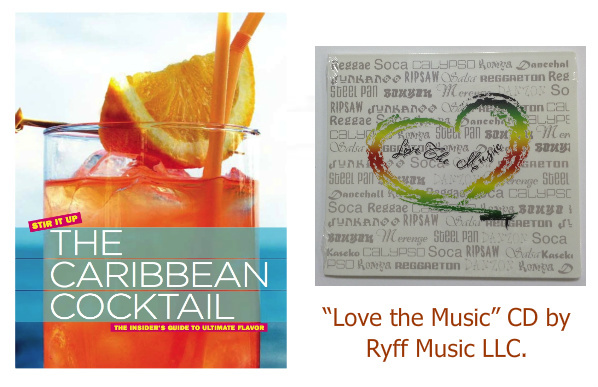 The Foundation also looks at creative ways of raising funds which have included in the past the creation of “The Caribbean Cocktail” booklet which showcased flavourful and unique cocktail concoctions from bartenders across the region. A CD called “Love the Music” was produced by Ryff Music LLC. The CD includes a respected roster of the Caribbean’s best artists including: Dollarman (Grenada), Singing Melody (Jamaica), Kamau Georges (British Virgin Islands), KB (Bahamas), Dudley (Bermuda), Aloe Blacc (Panamanian), Lazo (Dominica), Fae Simon (Carriacou and Jamaica), Adrian Dutchin (Guyana) and Jovi Rockwell (Jamaica). Producers that contributed to the project include Albert ‘Dvo’ Desilva (Guyana), Herbert Alexander (USVI), Kamau George (BVI), Max Tannone (USA) and several other talented Caribbean musicians. Other fundraising activities have included a dress up Caribbean evening of fun and music in Miami and working with Caribbean artistes to sell their artwork and who then donate part of their earnings to the Foundation. The Board has also been able to attract persons who come from influential regional and international companies who use their reach and talent to create opportunities for fund-raising. The Foundation’s past beneficiaries are also a group that the Foundation intends to reach out to for contributions and support in the near future. Click below to make a donation of your choosing to the CTO Scholarship Foundation. We appreciate your contribution.